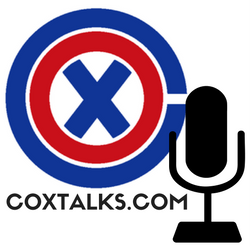 November 1, 2013 John CoxLeave a Comment on Cox Talks BC Friday! Happy BC Friday to all! Let the games begin! This is the only Grade 2 race out of the 14 and the competition shows clearly why. None of the horses in this race have scored graded wins in the US this year. COMMANDER scored a Grade 3 victory in the Premier Handicap at Hastings Race Course in Vancouver last out on October 13. Argentinian-bred EVER RIDER won the lone Breeders’ Cup Challenge race in Argentina as the 28-1 Longshot in the Classico Belgrano (G2) on June 21. POOL PLAY is the only horse in this field that has won at the distance of 1 ¾ miles in the Valedictory Stakes back in December at 2010. The other time he ran at 1 ¾ miles he finished second. He closed decently in the 1 ½-mile Grade 3 Greenwood Cup Stakes at Parx finishing third by 2 lengths on September 2. He has shown in the Grade 1 Stephen Foster in 2011 and the Grade 2 Hawthorne Gold Cup that he is able to throw a strong performance every once and awhile and I think he has a good shot to do so again here. INDIAN JONES finished second in the Greenwood Cup Stakes by only a nose and ran second in an optional claimer for $40,000 at Laurel going a mile as a fine prep for the marathon. EVER RIDER (ARG) The Argentinian shipper is coming off a huge upset win in the lone “Win and You’re In” race for the Marathon and might benefit from the long layoff and run big in this one. Of the five Breeders’ Cup Challenge races for the Grade 1, $1,000,000 Breeders’ Cup Juvenile Turf, BOBBY’S KITTEN is the only one who took advantage of the free trip to Santa Anita. Coming off a win in the Grade 2 Pilgrim Stakes at Belmont Park on October 6, he will certainly be the shortest price in this one. BOBBY’S KITTEN is hard to argue in this one. He looked very good in both his maiden win and his Pilgrim victory, both going 1 1/16 miles. Cutting back a half-furlong should not affect this son of Kitten’s Joy very much at all. Javier Castellano maintains the mount after the impressive six-length win in the Pilgrim for trainer Chad Brown. OUTSTRIP (GB) is attempting a mile distance for the first time in his short career, hitting the board in all four of his career starts, with two wins including the Grade 2 At The Races Champagne Stakes at Doncaster in September. With a strong turf pedigree, I think this one should improve going an extra furlong. I also like that he gets Mike Smith on board for trainer Charles Appleby. POKER PLAYER is coming off a nice win off the turf in the Grade 3 Bourbon Stakes at Keeneland. I personally thought he looked pretty poised on the track so I am throwing him in there to hit the board with jockey Channing Hill up for trainer Wayne Catalano. The Breeders’ Cup Dirt Mile is certainly one of the more wide open races of the entire cup. FED BIZ earned his way in by taking the Grade 1 Pat O’Brien Stakes at Del Mar and CENTRALINTELLIGENCE got in by winning the Grade 1 Triple Bend Handicap at Hollywood Park. A mile on the dirt is not that traditional of a distance on the surface, so it’s very tough to say who will like it the most. PANTS ON FIRE was very impressive in his last outing, the Grade 3 Ack Ack Handicap at Churchill Downs, where he posted a time of 1:33.78 going a mile on the dirt. There was also plenty of speed in that race, much like there should be in this one, so I expect him to be in top form for the Dirt Mile and should close well. GOLDENCENTS After finishing 17th in the Kentucky Derby and 5th in the Preakness, Goldencents’ connections decided wisely to cut him back to the sprint distance of six or seven furlongs. He has run in now three sprint races against older horses, two Grade 1’s and one Grade 2, where he has come up very close late. I think with an extra furlong added he should come up strong. BRUJO DE OLLEROS (BRZ) This Brazilian-bred ran a pretty close second to the would-be favorite in this race, GRAYDAR, last out in the Grade 2 Kelso Handicap at Belmont Park. Graydar unfortunately suffered an injury earlier in October, sidelining him for the remainder of the season. He gets Alan Garcia up for trainer Richard Mettee, and I expect him to run well. Our two Breeders’ Cup Challenge winners in the Juvenile Fillies Turf are Grade 3 Jessamine Stakes winner KITTEN KABOODLE and Grade 3 Miss Grillo Stakes winner TESTA ROSSI. This is a very wide open race too and should be very interesting with all the European shippers. MY CONQUESTADORY actually won two Breeders’ Cup Challenge races both for different Juvenile races other than Juvenile Fillies. She broke her maiden in her debut start, the Grade 2 Summer Stakes at Woodbine on the turf going a mile and then came charging through to take the Grade 1 Darley Alcibiades Stakes at Keeneland going 1 1/16 miles on the PolyTrack. I don’t think the outside post will be that big of a factor and think this filly is the real deal. CLENOR (IRE) is undefeated in the US through three starts all at a mile on the turf at West Coast tracks. She’s thrown some solid times since being in America and should be able to get her at a nice price. The Doug O’Neill trainee should be ready for a late charge with Rafael Bejarano up. AL THAKHIRA (GB) This is my favorite of the Euro-shippers trying the US turf for the first time. The Marco Botti trainee has convincingly won her only two starts in England including a Grade 2. This is the one we have all been waiting for on Friday. Will two-time defending champ and Breeders’ Cup Challenge race-winner ROYAL DELTA be able to handle the two young guns BEHOLDER and PRINCESS OF SYLMAR? Only time will tell, but this guy things Royal Delta passes off the crown today when the Princess becomes the Queen. PRINCESS OF SYLMAR This three-year-old is the real deal. She toyed with Royal Delta in the Grade 1 Beldame Invitational just over a month ago in her first start facing older mares. I see Royal Delta and Beholder getting into a speed duel early and the Princess will prevail! AUTHENTICITY has run second to both Beholder and Royal Delta in her last two starts, so I think when those two burn each other out Authenticity could get up for second or third once again. CLOSE HATCHES seems to continue to improve and has impressively grabbed two Grade 1 races in her last two starts. I think she has a good chance to hit the board late as well. This should be a fun day to fire so best of luck to everyone!